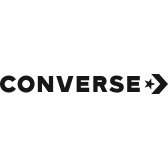 Get the perfect fit with these Converse Chuck Taylor All Star Shoreline canvas shoes. This style features an elasticized back to ensure they won't slip off while walking. These CTAS Shoreline shoes have a canvas upper that will accent any outfit!